In Bangkok, Thailand, the average temperature remains 33’C throughout the year, making sunscreen an everyday essential. I have always been on the hunt for the most perfect sunscreen that works for my oily skin in humid weather, and I believe I have found my holy grail product. 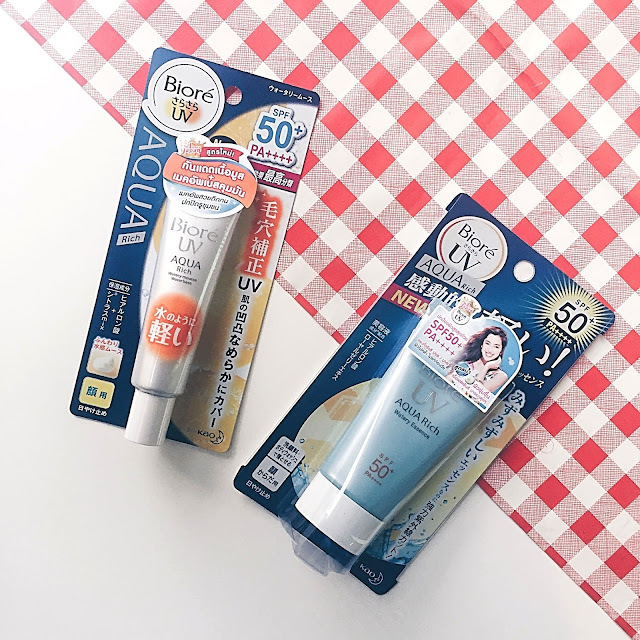 It is the Biore UV Aqua Rich which comes in SPF 50+ PA++++. So what does all this all mean? The brand Biore is a part of an umbrella brand, Kao, from Japan. As you can probably notice, there are a lot of Japanese captions on the packagings. The Aqua Rich part indicates it’s a watery mousse/water base texture which does wonders to my oily skin because it’s so light and not sticky at all. It feels like you aren’t wearing anything. It comes in SPF 50+ which means the product protects from about 98% of UVB rays, while PA++++ signifies the protection from UVA rays (according to Dermatalk). To me, the Biore UV Aqua Rich is the best sunscreen of all time. I have personally been using it for about 6-7 years now, and I’m still loving it. I have tried other brands in the past, such as L’Oreal and Anessa by Shiseido to name a few, and while these brands are two of the better ones, they are still not my favourite because during the day, when it becomes warmer, it can be a little sticky. All in all, they would still be my second and third choices if my Biore sunscreen ever ran out! Recently, Biore has introduced a new product (right) which is quite similar to the original one but with a refreshing citrus smell and a little more moisture in it’s texture. I do like them both. Where to buy them? 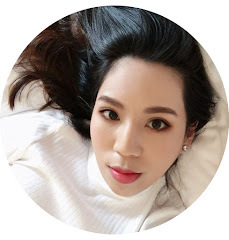 In Thailand and Japan, they are widely available in most drugstores and supermarkets, but if you live in Europe or the Americas, I would suggest you check out Asian cosmetics stores in your area. If you live in London, check out the Chinatown area, and if you live in LA, definitely check Little Tokyo, but then it doesn’t really matter because I’m sure you can get these online anywhere you are.